We might neglect our feet just because it is always covered. Usually, we go for pedicure to take care of the thick cuticles and enhance our nails. But, how about our skin; the dead skin specifically. 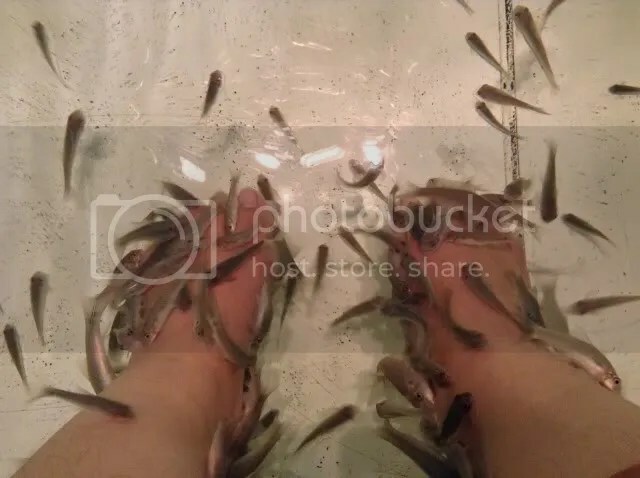 Recently, I got the chance to try “Fish Spa Therapy” or “Fish Pedicure”. 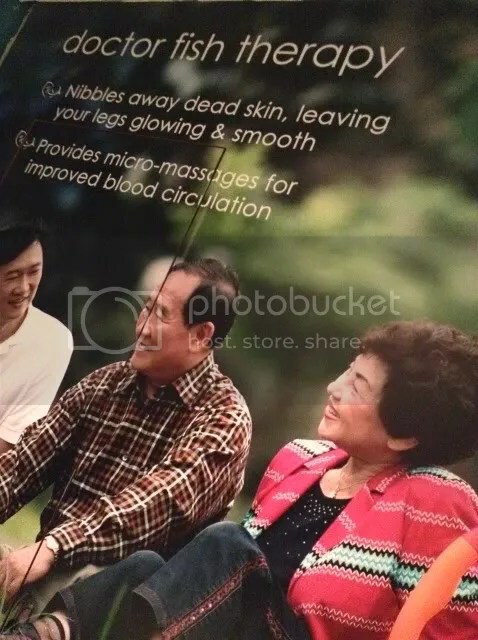 This therapy is well renowned and usually located in the malls. Fish Spa therapy or also known as “Doctor Fish” is originated from Turkey and existed hundred years ago. This therapy is done in a pool filled with GARRA RUFA fish; fishes with enzymes dithranol that could cure skin problem and inhibit the growth of dead skins. Before I dipped my feet into the pool, I was asked to to wash my feet with warm water so as to remove any dirts. As it was my first experience, it took me quite some time to force my feet into the pool filled with the nibbling fishes. After numerous tries, I managed to overcome my fear. The fishes started to attack my feet as soon as it is in the pool. It was really ticklish but after some time, it felt like I was having a soft massage. You might think that the fishes are biting but they are actually cleaning the dead skin cells by sucking or rather hitting their jaw to our skins for 20 mins. My feet feels cleaner, softer and smoother. Worried about the cleanliness of the pool? The pool water is being replaced everyday through UV light screening that is useful in removing any virus or bacteria. It also uses Ozone therapy to destroy unclean liquid manure in it. So take time and give your well deserved feet some pampering!